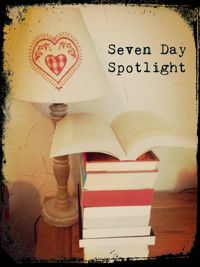 Hello, welcome to this week’s Seven Day Spotlight post. That’s week one of the Easter holidays done. We had a fabulous time at the Yorkshire Wildlife Park. Walked miles but saw some amazing sights – lions and tigers and bears, oh my! Seriously though, I’m not a fan of zoos really as the animals often look too caged up and miserable and I can’t stand to see an animal looking sad and out of their usual habitat. But at the Yorkshire Wildlife Park they have a lot of room to roam and although, obviously, these animals are not native to South Yorkshire, they seem happy and well cared for. We did see lions and tigers and bears (Polar and brown), but also a leopard, giraffes (so close at one point I could almost have reached out and touched one), wallabies, meerkats, warty pigs, lemurs, painted dogs, giant otters, camels and more. We must have walked miles….oh did I already say that? Well, I was exhausted by the end of the day. We also took our son to the Lego shop to fuel his Lego Movie addiction and we went to see Dumbo which was rather good. It’s got a bit of the Tim Burton darkness you might expect but it’s a lovely, heartwarming film. And finally, OH and I went to see Standing at the Sky’s Edge, an absolutely incredible play at Sheffield’s Crucible theatre, with music by Richard Hawley. 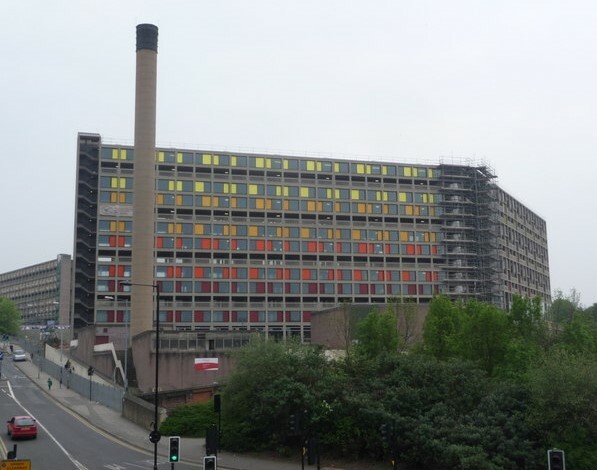 It’s based around three families in three different time frames, all of whom lived in one of the iconic Park Hill flats. I can honestly say it’s one of the best plays I have seen and I sobbed at the ending. It has all the elements that I love – different times, history, families. It was fabulous. I started the week on Monday with my review of Dignity by Alys Conran. Wednesday was a two post day though with my review of Spring Skies Over Bluebell Castle by Sarah Bennett and a fabulous guest post by Helen Steadman about Sunwise and corn dollies. Another two post day on Thursday with my review of The Strawberry Thief by Joanne Harris and a guest post about editing by Angela Rigley, author of The Peacock Bottle. On Friday, I shared a guest post about the importance of setting by Darcie Boleyn, author of The House at Greenacres. 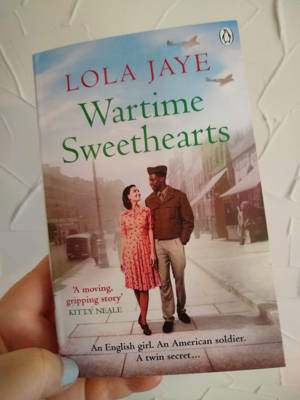 And another two post day on Saturday saw me posting my review of The Forgotten Village by Lorna Cook and an extract from God’s Acre by Dee Yates. 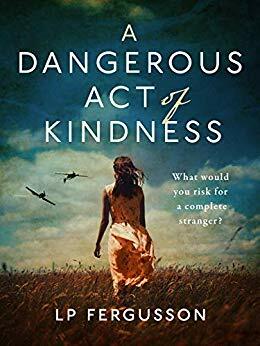 Finally, this morning I posted a guest post by LP Fergusson, author of A Dangerous Act of Kindness and where the inspiration for the story came from. 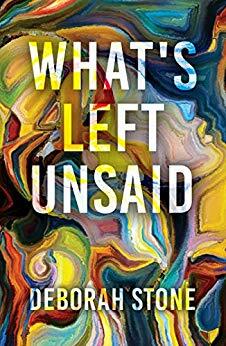 But when her best friend Tiff organises a surprise party, inviting the entire list of Lou’s Facebook friends, she’s faced with a new source of anxiety altogether: a room full of old college classmates who she hasn’t spoken to in twenty years. 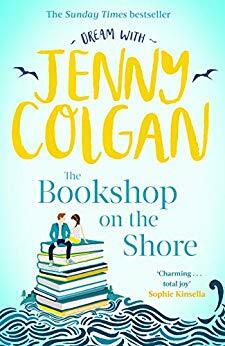 And one person in particular she never expected to see again is there – her ex-boyfriend from college, the handsome and charismatic Oliver Dunmore. 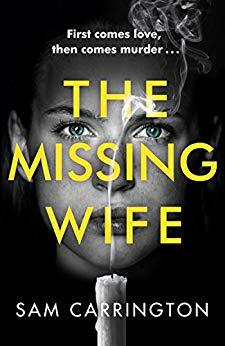 When Oliver’s wife Melissa goes missing after the party, everyone remembers what happened that night differently. It could be the alcohol, but it seems more than one person has something to hide. Louisa is determined to find the truth about what happened to Melissa. But just how far does she need to look…? 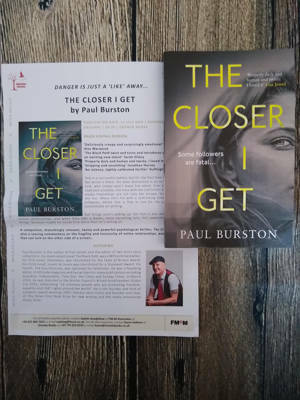 One simple Facebook invitation unfolds into something both tragic and monstrous; a story of obsessive love, breath-taking deception and masterful manipulation. At the peak of her career as lead singer of a legendary 1980s indie band, Meredith Vincent was driven off the international stage by a horrific incident. 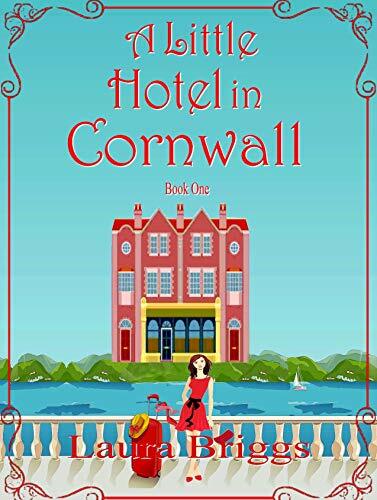 Now living a quiet existence in a cottage on the grounds of an old stately home, she has put her past behind her and come to terms with her new life. 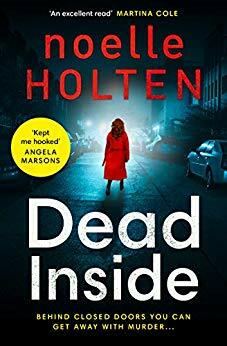 When a body is found in the manicured gardens of her home, and a series of inexplicable and unsettling events begins to occur, it becomes clear that someone is watching, someone who knows who she is … Someone who wants vengeance. In the grey mist of the early morning a body is dumped on the shore of the Thames by a boatman in a metal canoe. The city is soon alive with talk of the savage Esquimaux stalking Victorian London and an eye witness who claims the killer had an accomplice: a tall woman dressed in widow’s weeds, with the telltale look of the degenerate Irish. Branna ‘Birdie’ Quinn had no good reason to be by the river that morning, but she did not kill the man. She’d seen him first the day before, desperate to give her a message she refused to hear. And now the Filth will see her hang for his murder, just like her father. 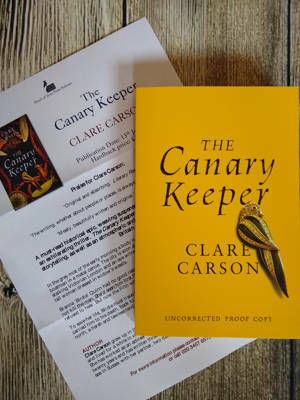 The Canary Keeper is a must-read historical epic, weaving suspense, adventure and romance into an exhilarating thriller. Welcome to London. Population: 8.7million. And it’s your job to keep them safe. 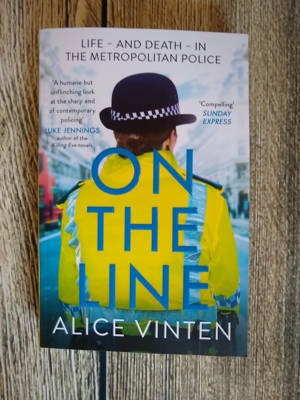 A no-holds-barred account of life on the front line of policing, On the Line follows PC Alice Hearn throughout ten years in the Met, from rookie to constable. 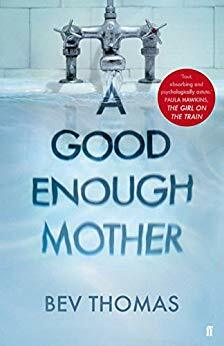 As she deals with violent criminals, heart-breaking domestic situations, petty crime, life, death, and everything in between, she builds up a portrait of a living, complex city, and what it means to look after it. As Millie’s dangerous act of kindness sets them on paths they never could have expected, those closest to them become their greatest threats, and the consequences of compassion prove deadly. 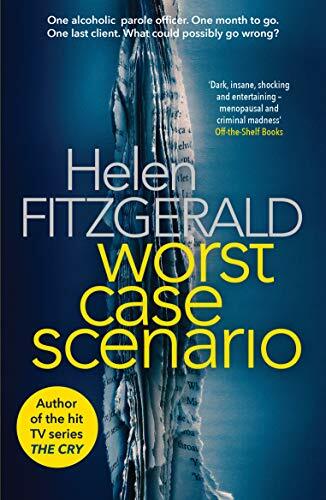 A heart-pounding, relentless and chilling psychological thriller, rich with deliciously dark and unapologetic humour, Worst Case Scenario is also a perceptive, tragic and hugely relevant book by one of the most exciting names in crime fiction. Zoe is a single mother, sinking beneath the waves trying to cope by herself in London. Hari, her gorgeous little boy is perfect in every way – except for the fact that he just doesn’t speak, at all. When her landlord raises the rent on her flat, Zoe doesn’t know where to turn. Then Hari’s aunt suggests Zoe could move to Scotland to help run a bookshop. Going from the lonely city to a small village in the Highlands could be the change Zoe and Hari desperately need. Summer 1920 and two worlds are about to collide. 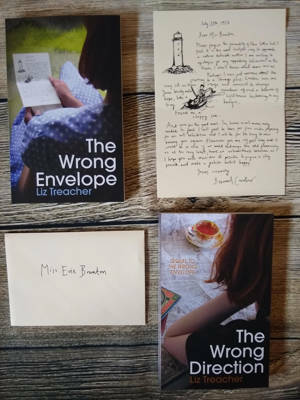 Light and witty, and full of twists and turns, ‘The Wrong Envelope’ is a charming romantic comedy. It captures the spirit of another age – when letters could change lives. Autumn 1920. When Bernard Cavalier, a flamboyant London artist, marries Evie Brunton, a beautiful Devon post lady, everyone expects a happy ending. But Evie misses cycling down country lanes, delivering the mail, and is finding it hard to adapt to her new life among Mayfair’s high society. Meanwhile Bernard, now a well-known artist, is struggling to give up his bachelor ways. 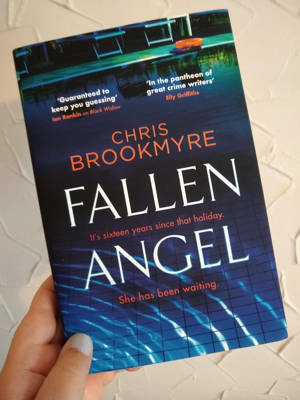 Fallen Angel by Chris Brookmyre – I already had the ebook ready for the blog tour but received a finished copy in the post. 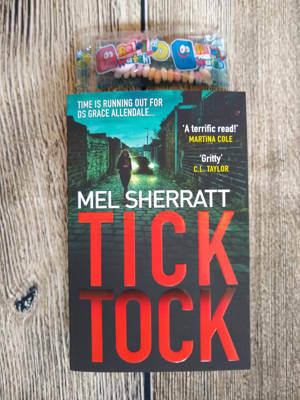 And likewise with Tick Tock by Mel Sherratt – I already had the ebook but have received a physical copy with a sweetie watch which was quickly commandeered by our boy! 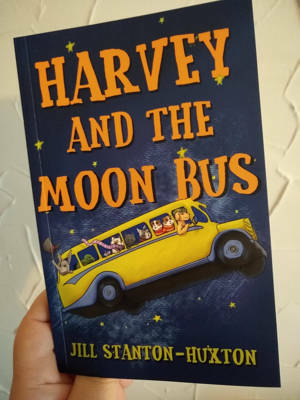 Harvey sees his friends, Chester and Nelly, heading for the corner shop and boarding the Moon Bus, so he decides to join them. Harvey sits next to a grumpy grey rabbit. The Moon Bus takes off and flies through space and lands on the Moon and they all head off to The Moon Rock Sweet Emporium in Moon Crater Alley. Harvey loses Chester and Nelly – so when he sees the grey rabbit heading for a nearby circus tent he decides to follow him, where he meets a small mouse called Gretel. But they only have 15 minutes to reach the Moon Bus before it leaves for the day! Gretel tells him the magic mats on the Helter Skelter will take them to the Moon Bus really quickly. The magic mat flies over the cobbled streets towards a huge crater but Gretel falls out of Harvey’s pocket and starts plummeting to the ground. Harvey manages to grab her safely. As the Moon Bus is about to take off, Harvey uses the last of his three wishes to catch it and jumps on board.. They look out of the window and see the grey rabbit running along the runway after the Moon Bus… But will he catch it in time? 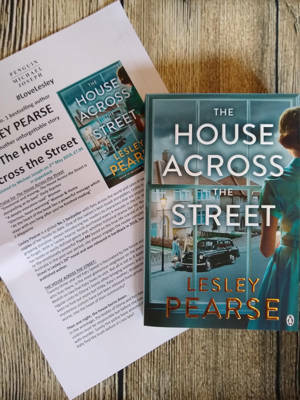 I received The House Across the Street by Lesley Pearse in the post. 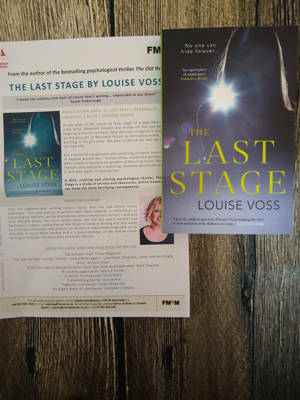 I’ve already read this one and you can read my review here but it’s a gorgeous paperback cover and there’s an extract from Lesley’s next book, You’ll Never See Me Again, in the back. Can’t wait to read it. It’s 1964 and twenty-three-year-old Katy Speed is fascinated by Gloria and the goings-on at the house over the road. Who are the mysterious women arriving in a black car most Saturdays? Then one night, Gloria’s house burns to the ground. In the wreckage, bodies are found. And Katy’s horror turns to disbelief when her father is arrested and charged with murder. Determined to prove his innocence, Katy sets out to uncover the truth about the mysterious house across the street. But that means uncovering the real murderer – and risking her own life . . . The House across the Street is a compelling, page-turning insight into the secrets of domestic life in a suburban avenue in 1960, from one of the world’s favourite storytellers. Phew! Quite a haul, eh? Have you read any of these or do you fancy them? One other lovely thing this week was that I spotted this photo on Twitter. 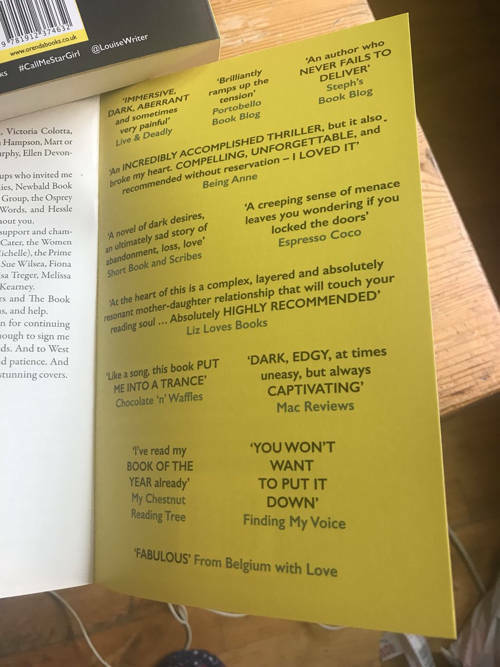 A quote from my review of Call Me Star Girl by Louise Beech has been used at the back of the finished book. Big surprise and I’m so pleased about it! Thanks Karen at Orenda Books!!! We are also very much enjoying the holidays 😀 And you have so many great books coming up, I’m looking forward to the reviews.